The "Night of Museums"—when museums and archaeological sites, across Italy, are open as late as 2am and free—takes place tomorrow, May 19. 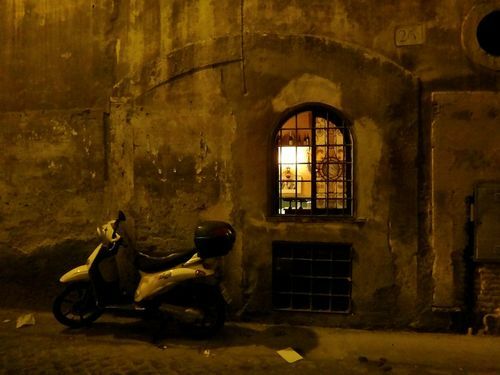 But that's not the only reason to explore Rome at night. Here are five others. St. Peter's Basilica is beautiful—and peaceful—once night falls (and the gates close). Nothing feels cozier than glimpsing through lit-up windows, into homes and trattorie, as you walk around the quiet Rome streets. 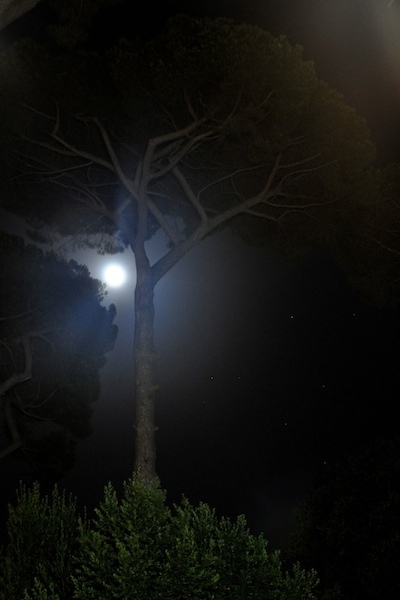 There's no Rome sight like an umbrella pine lit up by the full moon. 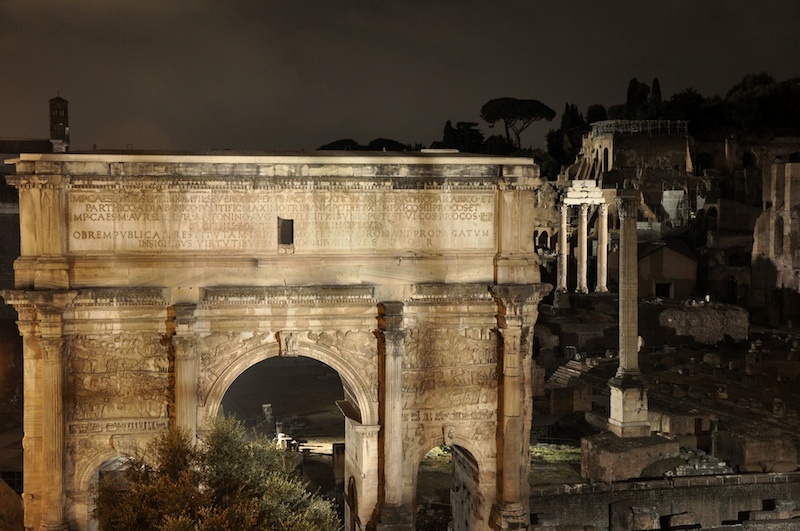 You can't enter the Forum at night, but you can walk to the lookout on the Capitoline hill to see the temples lit up. 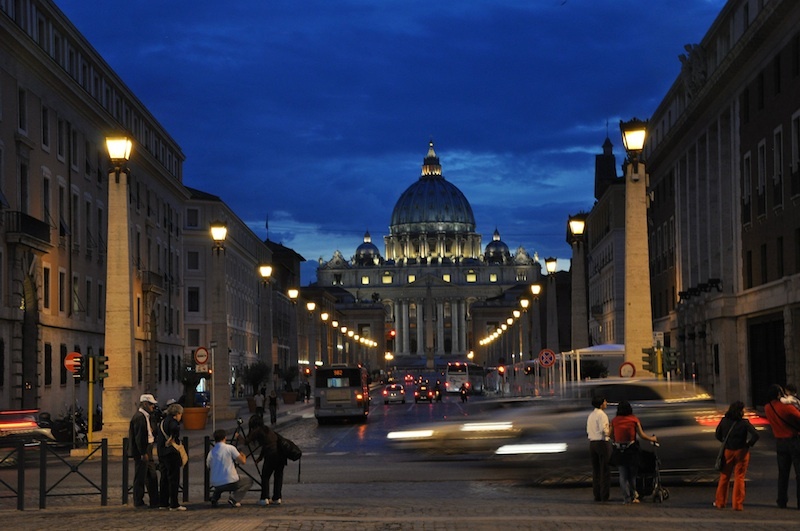 Think Rome's too crowded? Now's your chance to experience its winding streets by yourself. A few years back my husband and I visited family in Rome in the sweltering heat of July. I was keen on getting around during the day, but not my hubby who preferred the cooler strolls at night. 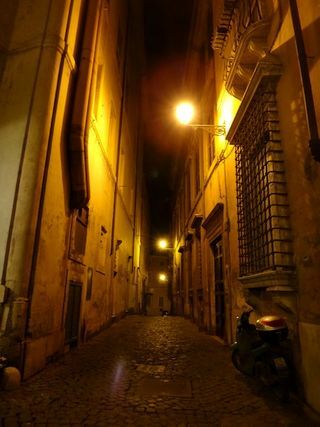 I rediscovered the beauty of Rome at night for all of the reasons you mention here, and of course, it’s cooler!